Fan of the Minions movie? Then you’ve come to the right place! Whether you’ve been following the Despicable Me story since the release of the first film, or are just getting into the smash-hit film franchise, you’re sure to find something to love in this collection of the best Minions desktop and iPhone wallpapers from all over the web. The following Minions chrome wallpapers and iPhone backgrounds will add funny, cute and crazy scenes to your digital life — and keep you smiling throughout the day! This Minions Chrome theme and extension designed by talented Brand Thunder artist, MaDonna, is a true tribute to your favorite 3D computer-animated film and doubles as a Minions desktop wallpaper! The theme and extension includes clear Minions imagery plus the New Tab Page experience offers links to top Minions web content with integrated search capabilities. In addition to all that, this Chrome theme’s social connections allow you to interact with other Minions fans on social media, instantly! Install this Minions Chrome theme, then right-click and save the image as your new Minions desktop wallpaper after installing! Tip: Easily alternate between this Minions Chrome theme and your other favorite animated film themes by using our new, free MyWeb for Chrome extension. Looking for more Minions Chrome themes? We’ve got your covered right here. This Minions movie poster desktop wallpaper features your favorite characters from the film: Stuart, Kevin and Bob. It also features the villain you love to hate: the one, the only, Scarlett Overkill. Click to download! This cute Minions desktop wallpaper features a hopeful and happy minion with his head in the clouds. Keep this minion’s dream alive by adding him to your computer desktop! Click to download! This funny scene from the Minions movie features Stuart attempting to woo a fire hydrant! Silly Stuart. Download this fun Minions desktop wallpaper and keep the giggles going all day long! Click to download! This hilarious Minions desktop wallpaper features the film’s beloved characters: Bob, Kevin and Stuart. Show off their unique personalities by saving this background to your computer desktop. Click to download! Oops! Looks like these Minions have lost their pants! 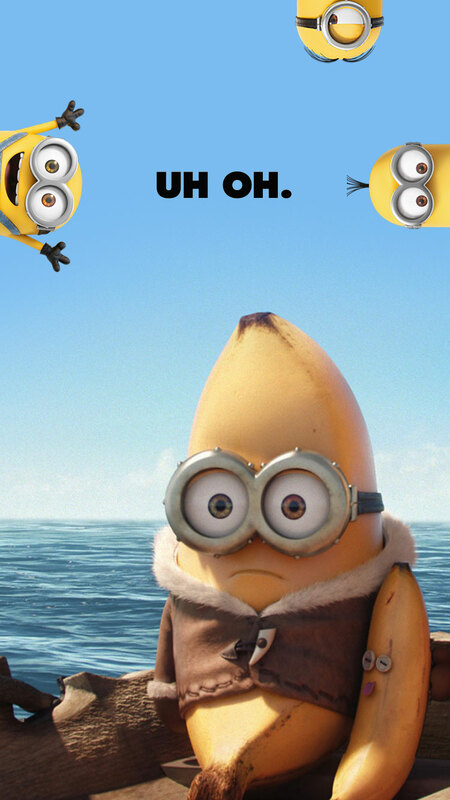 You should probably download this Minions desktop wallpaper just for laughs. Click to download! Bob, Kevin and Stuart need your help! Why not take them off the streets and into your loving home by downloading this cute Minions desktop wallpaper? Click to download! As a Minions fan you know that Minions know how to party! Celebrate the success of your favorite film with this silly Minions desktop background! Click to download! For the fan who can’t get enough of those silly yellow Minions in their life, this Minions desktop wallpaper is just for you! Click to download! I love minnions and quality of your website wallpapers is very good.